This study was carried out by Arvid Carlsson as a review of the Dopamine Hypothesis of schizophrenia and an analysis of the possible role of a different neurotransmitter, glutamate, as a biological explanation for schizophrenia. 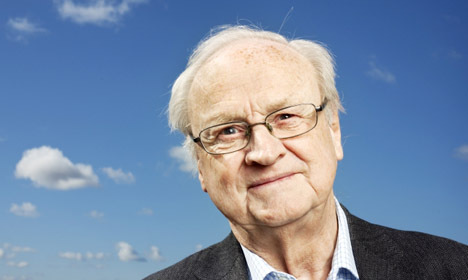 Arvid Carlsson is credited with the 'discovery' of dopamine in 1957. In the 1960s he pioneered the Dopamine Hypothesis as an explanation of schizophrenia. It is therefore quite significant that he should propose a different neurotransmitter as a possible explanation in this paper; the same year, Carlsson received the Nobel Prize in Medicine. Just to let you know how awesome Carlsson is, he also invented Zimelidine, the first SSRI antidepressant, in the late 1970s, way before Prozac. 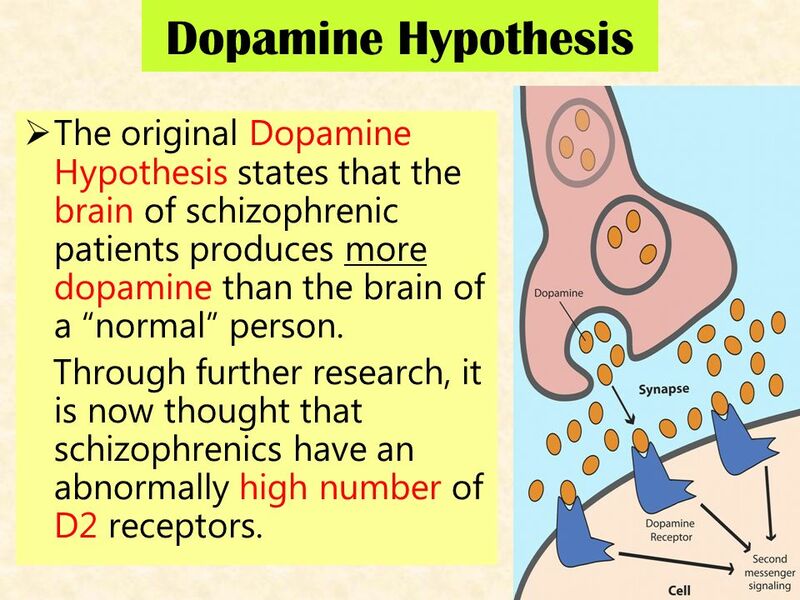 It shows how scientific research proceeds, because although Carlsson developed the Dopamine Hypothesis, he still investigates better explanations of schizophrenia. This is falsifiability - a theory being open to criticism. It focuses on biological explanations for schizophrenia. Neurotransmitters are "fast chemical messengers" that travel between neurons (brain cells) by crossing the synapse. They bind themselves to receptors on the next neuron and pass in their message in the form of a small electric charge. Dopamine is an important neurotransmitter that regulates mood and attention. It seems to be linked to schizophrenia in a number of ways. The Dopamine Hypothesis was proposed by Arvid Carlsson and suggests that schizophrenia is caused by too much dopamine - or too many dopamine receptors - in key areas of the brain. Carlsson refers to the Dopamine Hypothesis as the theory of "dopaminergic dysfunction". He also refers to "hyperdopaminergia" and "hypodopaminergia". "Dopaminergic" means "related to dopamine". "Hyper" means "overactive" and "hypo" means "underactive" - so HYPERdopaminergia is a condition of having too much dopamine activity and HYPOdopaminergia is having too little. Glutamate is an unusual chemical that does a lot of things (for example, it's used as a food additive). It took a long time for scientists to realise that it also worked as a neurotransmitter. Glutamate is present in high quantities throughout the brain. In very high quantities it is toxic, but the majority (99.9%) of glutamate is stored inside brain cells. Glutamate only works as a neurotransmitter when it is outside brain cells. Chemicals called glutamate transporters "uptake" loose molecules of glutamate, binding them safely inside cells. 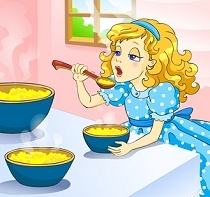 Glutamate uptake is an example of one of those processes that keeps brain chemistry "just right" - like Goldilocks' porridge. Levels of glutamate outside the brain cells mustn't be too high (hyperglutamatergia) or too low (hypoglutamatergia). As a neurotransmitter, glutamate controls memory and learning by binding to glutamate receptors (for example, NMDA is a common glutamate receptor). These receptors are found everywhere in the brain, which is why it's important for glutamate levels to be kept low by healthy glutamate uptake. Sounds familiar? Glutamate is an ingredient in monosodium glutamate (MSG), the food additive used in Chinese cooking. There is a controversy about whether MSG has nasty side-effects ("Chinese Restaurant Syndrome") which might be due to glutamate affecting the brain. This isn't a investigative study, like an experiment or an observation. It's a review - summing up the research so far and suggesting where it should go next. The aim is to present the current (in 1999, but it's not changed much since) view of the relationship between schizophrenia and dopaminergic dysfunction (problems relating to dopamine). Another aim is to explore a rival theory, that of glutamatergic deficiency or hypoglutamatergia (too little of a neurotransmitter called glutamate). This isn't an experiment so there's no IV. This isn't a piece of empirical research so there's no DV. However, Carlsson et al. describe the findings of a number of earlier studies..
Carlsson et al. aren't carrying out empirical research and they don't have a sample of their own. However, they refer to a number of earlier studies that do have samples of patients with schizophrenia. Carlsson et al. aren't carrying out empirical research so they don't have a procedure. However, they refer to a number of studies that use positron emission tomography (PET). PET is a brain imaging technique which injects the participant with a radioactive tracer that dissolves in the blood stream. The tracer is carried by the blood to the brain, where it concentrates around brain structures that are particularly active. A PET scan detects the radioactivity and converts it into a digital image of the brain, highlighting the active areas in yellow and red. Some PET tracers are designed to bind to receptors on neurons in the brain. They won't be able to do this if certain neurotransmitters are over-active in the brain. Therefore, on a PET scan, these areas will show up as lacking in radioactivity, coloured green or blue. On the other hand, if these neurotransmitters are under-active in the brain, the tracers will bind themselves to lots of receptors and show up on the PET scan as yellow and red areas. Carlsson also mentions SPECT scans. SPECT scans are cheaper but less accurate versions of PET scans that use gamma rays instead of positrons. As a review study, this paper mostly consists of 'results'. However, most of these results aren't from Carlsson's research - although some are - but from other researchers that get cited. Carlsson's review is set out in 7 sections. I'll present key ideas and a piece of research for each section, but students don't need to know all of them - just a couple should be enough if you also know Aims, Procedures and/or Conclusions. Glutamate seems to regulate the behaviour of dopamine and sheds some light on the behaviour of dopamine in the brain. Carlsson describes how it acts as an "accelerator" (increasing dopamine activity) or a "brake" (decreasing it). The psychotic side-effects of PCP are reduced by a chemical called LY354740, which increases the activity of glutamate but doesn't do anything directly to dopamine (this suggests that high glutamate activity has the effect of inhibiting dopamine). Low levels of glutamate (hypoglutamatergia) seems to link with both positive and negative schizophrenic symptoms. Carlsson locates this activity in an area of the brain called the striatum (in the basal ganglia) and in the cerebral cortex (which includes the frontal lobe, where conscious behaviour happens). This leaves us with two models (explanations) for schizophrenia: hyperdopaminergia (too much dopamine) or hypoglutamatergia (too little glutamate). Is the therapeutic potential of dopaminergic agents exhausted? Should we give up on dopaminergic antipsychotics and start focusing on glutamates instead? Carlsson thinks there's still a future in dopamine research. Carlsson suspects there are probably different groups of schizophrenia patients ("subpopulations") whose symptoms have different biological explanations - not always the Dopamine Hypothesis. There may be a subpopulation suffering from glutamatergic deficiency and these deserve "special attention". Lack of glutamate might cause patients to have an exaggerated response to dopamine at the post-synapse. 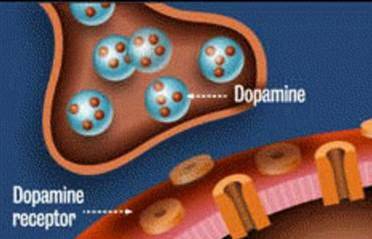 In other words, even though only normal levels of dopamine are being produced, the dopamine receptors have an extreme reaction. Researchers should start looking into the role of other neurotransmitters, like gaba, acetylcholine and neuropeptides. A review study doesn't have a sample group so "generalisability" doesn't apply in the normal sense. 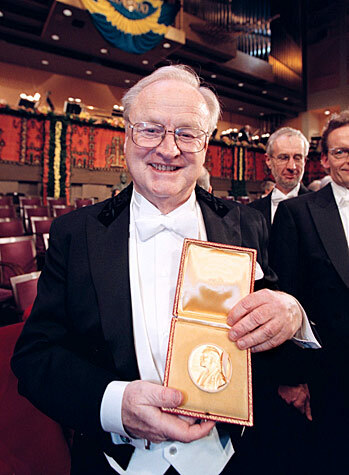 Arvid Carlsson is one of the world's foremost researchers into dopamine and schizophrenia (there he is on the left, collecting his Nobel Prize), so the studies he cites in his review - 33 studies in all, 14 that he took part in - will be a very representative selection of what was going on at the time in his field. However, that time was 2000, nearly two decades ago. This study may be "time-locked" if research has moved on since then and it is no longer representative of the state of scientific ideas today. Research almost certainly has moved on. It makes you wonder why research from 1999 is a "contemporary study". However, Carlsson's ideas have been improved on rather than refuted. The studies Carlsson et al. cite are all lab experiments, many of them on animals, which use modern PET or SPECT brain imaging techniques. These techniques are standardised and replicable, making the research reliable. Carlsson cites one study (Laruelle et al.) that was unpublished at the time and therefore hadn't been peer-reviewed. The main application of this study is in the development of new antipsychotic drugs - improved dopaminergic drugs that have fewer side-effects based on a better understanding of dopamine pathways and new atypical drugs that affect other neurotransmitters like serotonin and glutamate. Glutamatergic antipsychotics are still "in development" (Papanastasiou et al., 2013). These drugs promise to bring relief to people who don't respond to typical antidepressants and don't have the same side-effects (eg weight gain). Meanwhile, research into dopaminergic antidepressants continues. The focus is on looking for "smart" antipsychotic drugs that select particular dopamine receptor sites and pathways rather than the ‘blunderbuss’ approach of traditional antipsychotic drugs (Jones & Pilowsky, 2002). Given how everyone is still repeating Carlsson's hopes and predictions but none of these new wonder drugs is being prescribed by doctors yet, perhaps Carlsson et al. isn't time-locked after all. Carlsson is questioning the validity of the Dopamine Hypothesis that he himself pioneered back in the 1960s. He lists some of the evidence that has called it into question, such as the new atypical antipsychotics like Clopazine which reduce psychotic symptoms without influencing dopamine. He considers an alternative, the Glutamate Hypothesis. Carlsson argues that both hypotheses may be true and research should continue in both. Over the last 20 years, most other research scientists have agreed. This is a review study so there are no ethical issues directly connected to it. Many of the studies Carlsson et al. cite are animal studies involving lab mice. These might involve ethical issues, since the mice are being injected with drugs to bring on psychotic symptoms. Other studies involve humans with or without schizophrenia being given amphetamines or PCP or other drugs that increase psychotic symptoms. These participants are "drug naive", meaning they don't know whether they are being given a real drug or a placebo. There are ethical issues here involving deception and risk. However, Carlsson et al. are just reporting these studies in this review. Carlsson et al. reviewed the Dopamine Hypothesis and compared it to the rival Glutamate Hypothesis. Glutamate is another neurotransmitter that is linked to psychotic symptoms when its NMDA receptors are blocked. This is seen in drugs like PCP and ketamine. Carlsson et al. reviewed science as it stood in 1999 but the review might be time-locked and unrepresentative of scientific theories today. For example, Sekar et al. (2016) have discovered the C4 genes causes synaptic pruning, which is linked to schizophrenia. Only the other hand, modern researchers are testing glutamatergic antipsychotics as Carlsson suggested, but none are yet ready to prescribe to patients. Also as Carlsson suggested, researchers are still exploring 'smart' dopaminergic antipsychotics that target specific pathways and receptors. There is evidence from PET scans (eg Laruelle et al.) 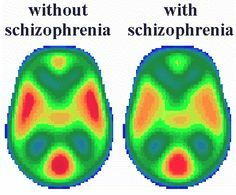 that schizophrenics suffer from hyperdopaminergia but the side effects of antidepressants are caused by hypodopaminergia. Atypical antidepressants like clozapine reduce psychotic symptoms without affecting dopamine levels and have fewer side effects. Jones & Pilowsky describe the Dopamine Hypothesis as "the comeback kid" because it is still as useful theory despite criticisms, as Carlsson predicted it would be. Carlsson’s review covers 33 studies, 14 of which he took part in. This is a representative sample of research into both animals (mice and rats) and humans (in drug and placebo conditions). For example, Lodge et al. (1989) show that glutamate activity at NMDA receptors produces psychotic reactions (it is "psychotogenic") in rats and humans. However, these are all lab studies. The human participants have psychotic symptoms brought on by being administered drugs like amphetamines under controlled conditions. This is very different from a homeless person having a psychotic episode, with no one looking after them and no understanding of what is happening. Similarly, it’s difficult to generalise from animals to humans because identifying psychotic behaviour in animals is a matter of interpretation whereas humans can tell you that they are hallucinating. These sorts of lab tests will never be as valid as a case study such as Bradshaw’s study of Carol, who gave up drug treatment in favour of CBT. In conclusion, although it is two decades old, Carlsson et al. 's ideas and suggestions are still guiding research into biological explanations and treatments for schizophrenia. Carlsson’s willingness to test new hypotheses about the biological causes of schizophrenia is a good example of psychology as a science. Notice that for a 8-mark answer you don’t have to include everything Carlsson et al wrote. I haven’t mentioned the basal ganglia or striatum, direct versus indirect pathways or the idea of different subpopulations of people with schizophrenia. But I have tried to make the two halves – Description and Evaluation – evenly balanced.